LibreOffice Hits First Anniversary, Boasts 15 million Linux Users - OMG! Ubuntu! It’s hard to believe but today marks the first anniversary of The Document Foundation and the beta release of their OpenOffice-fork LibreOffice. 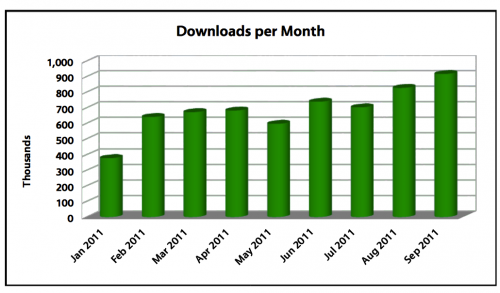 In just 12 months LibreOffice has cemented itself as the de-facto ‘free’ office suite for millions of users. Part of this success it down to the popularity and�openness�of the LibreOffice ethos and platform with the development community. In fact, according to Norbert Thiebaud, who jumped aboard the LibreOffice train on the very first day and is now a member of the Steering Comittee,�The Document Foundation has attracted more developers with commits in one year than the entire OpenOffice.org project�received�in the first decade. “What we have achieved in just twelve months is incredible,”�says Charles Schulz, also a member of TDF Steering Committee. “We have 136 members who have been nominated for their contributions to the project; we have some 270 developers and 270 localizers (although we always want to attract more), many of whom are also members; we have over 100 mailing lists, with over 15,000 subscribers, half of whom receive all our announcements; and there have been thousands of articles in the media worldwide”. By attracting more developers and more ‘commits’ (fixes and changes) LibreOffice has seen its release cycle sped up – another change that has likely helped�little ol’ LibreOffice come such a long way in such a short time. Lots of developers is all very well – but what about users? The Document Foundation estimates that are a total of 25 million LibreOffice users worldwide, with�10 million of those being on Windows and OS X. As LibreOffice is shipped by default on most major Linux distributions, including Ubuntu, The Document Foundation say LibreOffice has over 15 million Linux users. 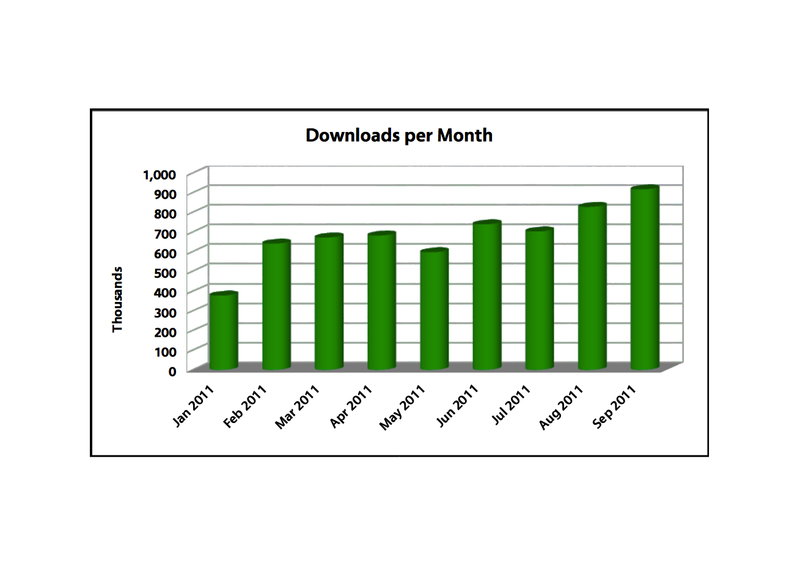 And since the first stable release in January of this year LibreOffice has been downloaded over 6 million times alone. “LibreOffice is indeed a live, thriving and active project, and we are all determined to ensure it continues to be a great success story,” says David Nelson, Document Foundation Member and developer. We here at OMG! are pretty stoked to see it do so well so soon. Sure, it might not be perfect just yet, but it’s darn well getting there. LibreOffice is included by default in Ubuntu 11.04 onwards.It can also be downloaded from libreoffice.org.